Our prayers, thoughts, and remembrances, to ALL who served in the military, to ALL who risked their lives in love, honor, family and country. God Bless you. Have a wonderful and peace filled Memorial Day weekend. I certainly would not like to see the Worcester Telegram & Gazette be diminished in any way. Media convergence is happening everywhere and it is NOT in the best interest of local communities. What I see is an increase of corporate agenda and government propaganda. These pose serious threats to media democracy and democracy itself. Internet, Wireless, and Cable giants are also merging and also forming spin offs that would literally redraw the map of cable services nationwide and again, not necessarily for the best interest of our communities or consumers. With less competition, comes less information,and less points of views, and the potential to influence your brain and spending, voting, and thoughts will be now in control of a very small few and WE ALL will have much less a “soapbox” to speak and share our point of view or to even hear any dissenting view or opinion. While there are a lot of complicated layers to what is happening in these industries, and along with the added recent mergers and FCC rulings, the key concerns are the likely loss of competitiveness, and more importantly, the degradation of fair and unbiased access to venues to support the free and opened flow of news and information, the obvious decline of true media democracy, loss of local ability to influence higher spheres of society, a widening of the digital divide. The last thing we need is for our voices and our community media programs to be muted. What would be left? Same high bills, same high taxes, and plenty of corporate and government propaganda to influence our thinking. Who will be accountable for that? JAZZED UP Trio brings in the swing for part two of Restaurant week at CORAL SEAFOOD, Sat. August 17 starting 6:30-8:30. 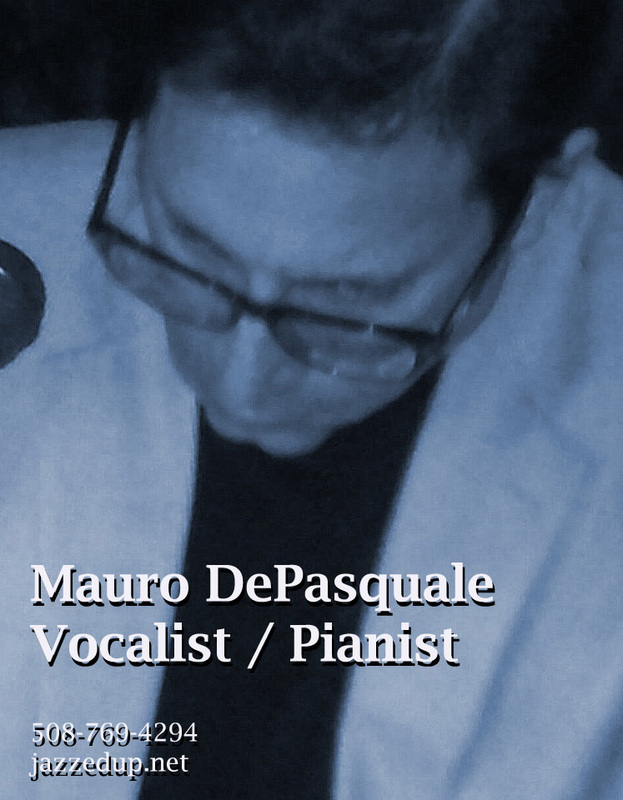 Mauro DePasquale on vocals and piano , Ed Conley on drums and Phil Madison on bass. Treat yourself to a swanky elegant atmosphere, great food, super nice service. If you like the music of Buble’, Sinatra, Bennett, Connick Jr., you will love JAZZED UP ! See you Saturday kids! And don’t forget JAZZED UP is good for you. Contact us to see if JAZZED UP may be available for your next event . 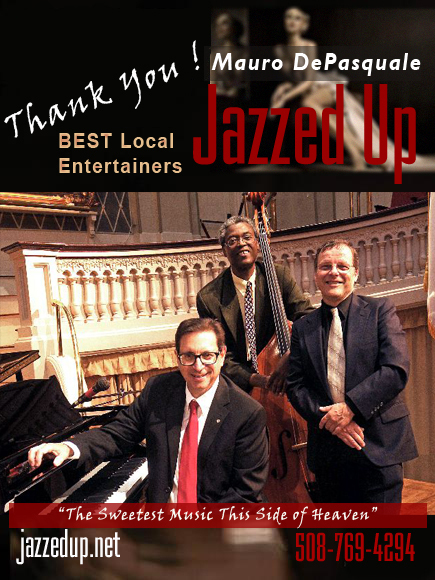 Catch my jazz trio “JAZZED UP” this weekend. Friday, JUNE 14th at the STEAK LOFT at 369 West Main St, Northboro, MA at 7PM and also on Saturday, June 15th at RITUAL, 281 MAIN ST WORCESTER MA at 8:30 pm. Nominated best JAZZ act in 2013 and 2013 Worcester Music awards. 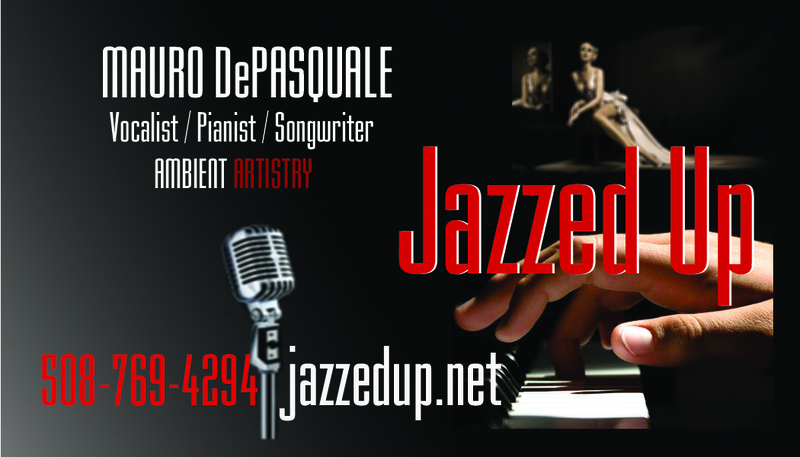 If you love Buble, Sinatra, Bennett, Baker, Connick Jr., you will love JAZZED UP !